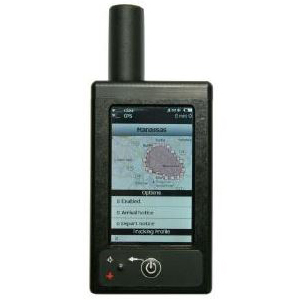 The SHOUT gsm is a dual-mode Iridium/GSM tracker and messaging device. It has a touchscreen allowing quick access to the menus and ease of entering text via on-screen keyboards. Similar to the SHOUT ts, the SHOUT gsm is designed with ultra-low power consumption electronics drawing less than 35µA during sleep. With an internal 1.95 A-Hr rechargeable Li-Ion battery, it can send a position report every hour for up to two months (about 1,500 reports). 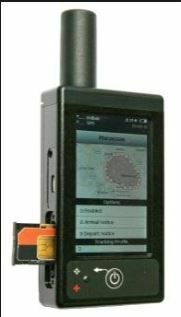 The device can periodically wake up from sleep to send its position report to a command center. A guarded 911 button is used for immediate emergency/alert notifications.